The end of the working year isn’t just reserved for rest, relaxation and a lot of mince pies. It’s also the ideal time to reassess your career progression. Taking time off over Christmas provides the thinking space many professionals need to look back over the previous year and plan for the following one. 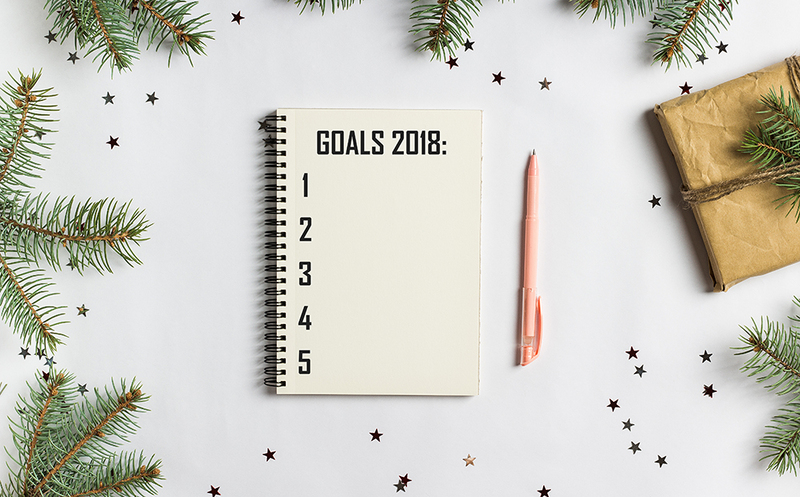 If you feel it’s time to take control of your progression plan, read these practical tips from the experts at Robert Half and make 2018 your most productive yet. Why make a career plan? It’s no secret that working in a job you love can seriously improve your overall happiness. Our research into happiness at work has shown that having a sense of accomplishment was one of the three top drivers of happiness at work—something which comes primarily from reaching and exceeding your own career expectations. A strong sense of empowerment is another factor that can affect how happy you are within your career. Workplace freedom typically leads to increased happiness at work, better critical skills and a greater sense of achievement. Planning the next steps on your career path is an excellent way to earn that sense of accomplishment and empowerment. The first place to start when planning career progression is to decide whether you’re happy in your current role. This will determine whether you should find a new job in 2018 or if it’s time to negotiate a promotion or pay rise in your current role. If you aren’t sure, ask yourself some basic questions: whether you feel engaged on a day-to-day basis, if you’re getting the job benefits you’d like, whether you feel appreciated and if your efforts are being rewarded fairly. To continue progressing and growing as a professional, you’ll need to keep an eye on emerging skills within your industry. The speed of industry has pushed businesses towards digital evolution, which demands new hard and soft skills from employees. To remain competitive, research the 2018 hiring landscape using a report like the 2018 Salary Guide from Robert Half and find out which new skills you need to grow. It’s no good planning out the trajectory for the next five or ten years of your career if you aren’t setting manageable career goals. Being too ambitious or failing to research sustainable ways to reach milestones can leave you feeling frustrated. Instead, try sitting down with your manager and discussing your career plans in relation to the business’ long and short-term goals. You can mutually agree targets for each quarter and improve career satisfaction at the same time. Following on from setting realistic career goals, having a strong understanding of what a good remuneration package and pay rise looks like within your region, industry and role will be fundamental in planning your next career move. Hone your negotiation skills and use an industry-recognised report—like the Robert Half 2018 Salary Guide—to leverage a raise, promotion or better benefits package. The time has come to start setting career goals. It’s time to review your resolutions and a reassess your career aspirations. When you start to put your career under the microscope, ask yourself some searching questions to prepare you for the months ahead. Would I consider myself a leader or a follower? Continue on the path to growth and don’t let your own personal inhibitions stand in the way of your achievements. If you’re feeling extra ambitious, try moving off the beaten track. For example, get creative with new methods and ways of managing the different personalities in your team, employing conflict management strategies or simply try a new tact when handling unfriendly colleagues. There are always improvements that can be made, so never stop striving to be better than you were yesterday. If you’ve always been content with being the follower, perhaps it’s time that you reviewed your career goals and what it would take to actively pursue them. You could start by requesting more responsibilities at work, or look at areas where you can contribute more to the company. It’s also a good idea to assess your growth options in your current organisation. Speak with your manager about potential opportunities that may be available for you as they may not be aware of your interest to advance and develop in your career. Am I delivering at work? There never seems to be enough time to do all the things we want to do, but being productive is about being time-efficient, rather than simply taking on anything and everything. As the saying goes, you only live once, so you might as well make use of your time while you have it. Learn to prune your working methods so that you eliminate bad habits that waste valuable time and energy, while putting your efforts into the things that count. Working smart can help you achieve so much more than just hard work alone. Being productive also means being able to focus on the things that matter, both in your workplace and at home. Everyone deserves some time to relax and recharge themselves, and nobody should have their nose to the grindstone 24/7. If a certain activity brings you joy and enriches your life, it’s time well spent – so don’t hesitate to put that down as a career goal. A new year is a time for spring cleaning – not just your home, but your mind as well. Worrying isn’t productive; aim to fix problems without stressing over them. When you’re calm and at peace, the path will be clear for you to forge ahead without getting caught up with minor setbacks in the pursuit of your career aspirations. Are the people around me helping me to move up in my career goals? At the core, we’re social creatures. Aim to fill your life with people whom you can count on, who will encourage you on your journey up the career ladder. Appoint a mentor or coach who can identify areas where you’re lacking and help to put you on the track. And of course, it helps to have supportive family members with whom you can share your dreams. Once you have that, you’re all set for nailing those career goals. Life’s too short for negativity. Toxic people and workplace culture will only set you back in your career aspirations. If your office atmosphere breeds unhappiness and discouragement instead of positivity, it’s time to either take a strong stance against it. If that fails, consider making a move to a place where your contributions are appreciated and where you’re motivated by more than just remuneration. Am I achieving a strong work-life balance? There’s no point slaving away at work every day and night only to miss out on valuable time with your family. If you have zero work life balance, perhaps it’s time to adjust your career aspirations. You can start by identifying whether you can put your salary to good use on the things that you want. Think of your bucket list – has your career helped you tick off items on the list? What more do you see yourself accomplishing on this trajectory? If you’ve always wanted to travel, make sure you plan your leave dates wisely. If you’d like to spend more time with your loved ones, then maybe explore flexible working arrangements with your manager as a career goal. If there’s a key takeaway in this post, it is this: Smart professionals build their careers to empower them to be able to do the things they want to do, whether directly or indirectly. You don’t have to be enthusiastic or love your job every moment of every day, but it should at least be a positive experience most of the time. If you’re finding it harder and harder to take pride in what you do, perhaps it’s time to ask why. Is it the work you do that you’re not content with, or are there other factors affecting you? Whatever the reason, if your job isn’t one that’s fulfilling, doing some soul searching as to why may help. For some people, this could simply be a change in mindset, for others it could mean finding a new role.